The abba standard kit is the same kit that comes complete with the abba superbike stand & Sky lift when new. This is the kit that accommodates all the extra abba bike specific fitting kits. 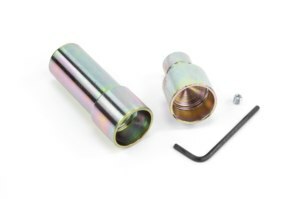 If you have lost or damaged the standard fittings and don't have them, this is the kit you need. Supplied with Grub Screw and Hex Key. Machined with state of the art CNC machinery using high quality materials. I have the correct fitting kit for my bike but it does not fit my abba Superbike Stand. Do I need the standard kit? 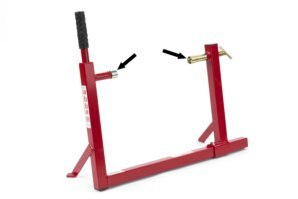 Yes, if you have purchased a bike specific fitting kit and you cannot attach them to your superbike stand you almost certainly do not have the standard fitting kit. This kit is supplied with the stand from new, at some stage you may have lost these parts. Is the abba standard kit always needed? Not always, there are a small amount of fitting kits in our range which we manufacture as one piece so the standard kit is not required. The vast majority of bikes however do require this kit as well as the bike specific kit. Does this product come with a guarantee? Got a Question about the abba Standard Kit? If you would like to ask us a question about the abba Standard Kit, simply fill in the form below and we will contact you within two working days. Want to tell a friend about the abba Standard Kit? Alternatively fill in the form below and we will send an email on your behalf to your friend, with a link to this page all about the abba Standard Kit.